Well, this was a special order from a special friend ;)...I don't think I want to redo this order again :D...mainly because of the not so simple sewing part :D...but who knows...practice makes perfect, eh?? She requested a personalized diaper bag for a little baby boy. 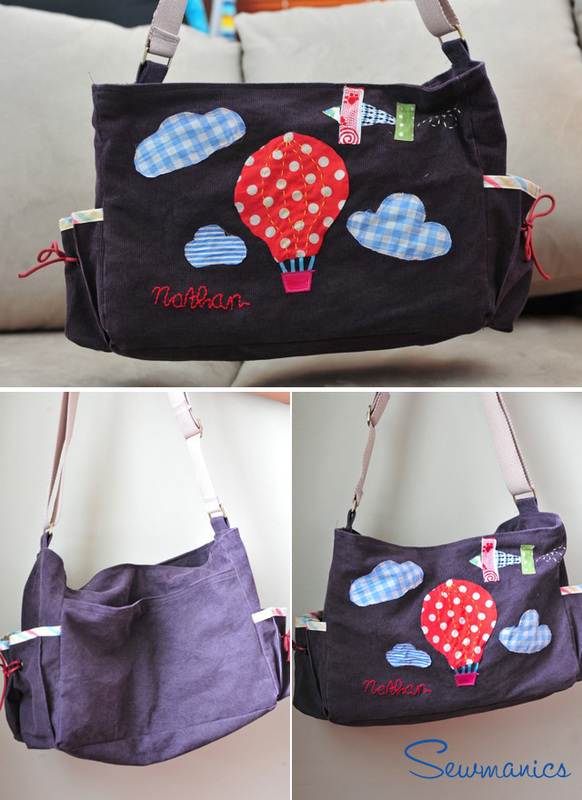 So I chose the plane and hot air balloon for the theme. 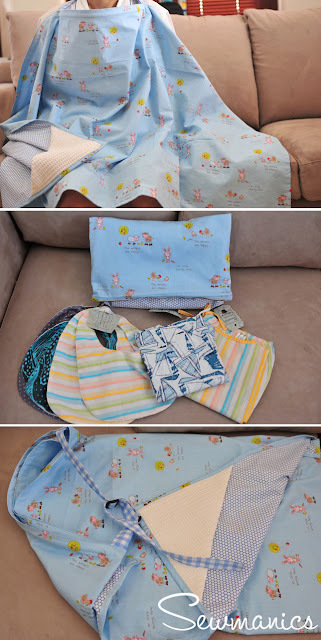 Inside it, I've included a diaper pouch with matching nursing cover (I LOVE THE WAFFLE fabric I used for the wipe). Then, two kimono PJs, a set of 5 bibs, a blank card and dust cover for the bag. I worked extra hard and I really hope the customer is happy (fingers crossed). I promise you...I SHALL make a TUTORIAL for this :)...It's actually kinda cool to make...though time consuming :). Salam kenal... :) your diaper bag is so adorable. I'm now working on my son's quilt cover, using applique almost similar to this (transportation theme: plane, car, train & boat). Hope it will turn out as beautiful as your work. Wish me luck!! how are you doing, is the Merapi far from you? Are you in any danger? I have been thinking of you.